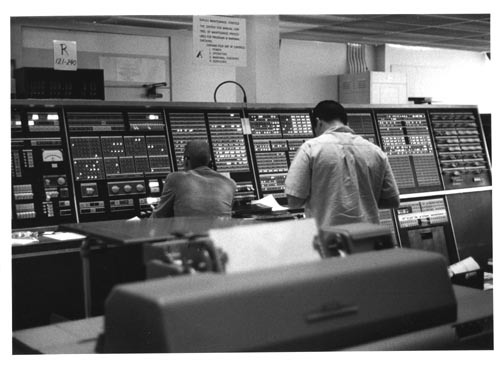 B&W image of a SAGE Control Console . In foreground is a printer. In the center is the console..
To the left a man is sitting at the console with a man standing next to him. On the rear wall is a sign " Duplex Maintenance Console"
with other data under the title.